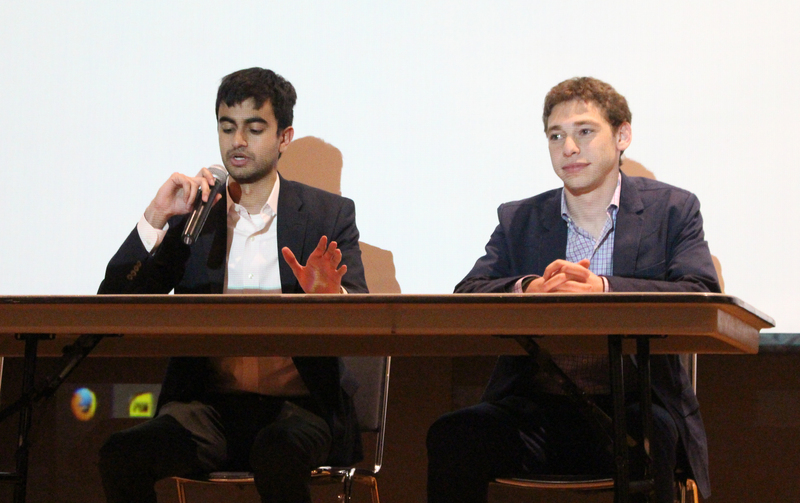 Candidates running for top student government positions spoke about their campaign platforms and answered questions at this year’s Wheel Debates on March 22 in Harland Cinema. Fourteen of 17 candidates looking to lead the Student Government Association (SGA), College Council (CC), Graduate Student Government Association (GSGA) and BBA Council addressed more than 100 Emory undergraduate and graduate students before the voting period opens on March 27. 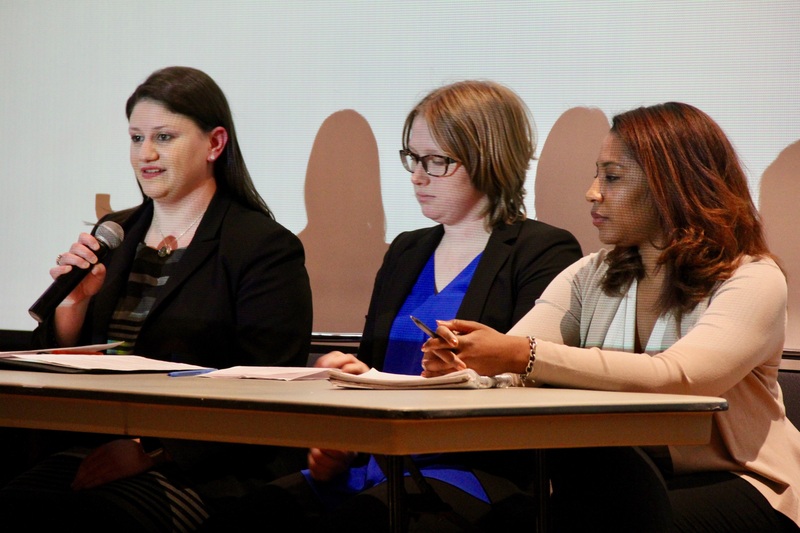 GSGA presidential candidates Kylee Borger (19PH), Sakinah Watts (19B) and Sydney Kaplan (19L) discussed their platforms, which all touched upon the need to increase GSGA’s student outreach. 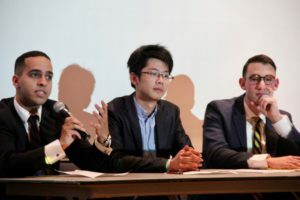 The three graduate students agreed that the biggest challenge GSGA faces after its split from SGA last year is its lack of presence on campus. Borger, also a GSGA legislator, said that GSGA’s minimal presence on campus prevented it from passing as much legislation as SGA. “[Graduate divisions have] lots of students from various backgrounds, and not all of them have been in student government at the undergraduate level, so they’re not aware that we can do bills and legislations, and that we are a venue for change,” Borger said. Watts, a member of the GSGA executive board, acknowledged that she is not extremely knowledgeable about the governing documents, but viewed the role of GSGA president as a facilitator. GSGA executive vice presidential candidate Elyse Cooke (20T), who is running unopposed, echoed the presidential candidates’ sentiments that GSGA needs to strengthen its presence on campus. SGA presidential candidate and current SGA Chief of Staff Mario Karras (17Ox, 19B) discussed increasing professional development and “making the student experience better.” He pointed to his work on the Oxford SGA as vice president of public relations and first-year legislator. Karras added that he prepared another person to take his spot after his departure. SGA presidential candidate Dwight Ma (17Ox, 19C), who is currently SGA vice president of international student experience, said that he is different than the other SGA presidential candidates because of his ties to the international student community. SGA presidential candidate Elias Neibart (20C) rooted his platform in tenure as SGA attorney general. “The next president needs to understand the complexities of the GSGA/SGA split, as well as the fact that, currently, our institutions are bureaucratic and hard to navigate,” Neibart said. Neibart also stated that he would work more to address demands made by student group Black Students at Emory in 2015, specifically increasing funding for black student organizations. Karras said that his experience on the Student Concerns Committee would assist him in working with the Emory Black Student Union (EBSU) and the National Association for the Advancement of Colored People (NAACP) at Emory. SGA executive vice presidential candidates Muhammad Naveed (17Ox, 19C) and John Priddy (19C) discussed the differences in their platforms and what they promised to the Emory community. His experience in Residence Life, Mock Trial, Campus Life, administration search committees, the Emory Commission on Race and Social Justice and other organizations allows him to properly “represent the student body,” Priddy said. Priddy advocated for major changes to SGA’s current operations, suggesting that it should focus on student demands instead of internal SGA issues, pointing to the joint candidacy bill that SGA spent hours debating. “SGA should be focusing on what the student body actually wants — on outward student involvement rather than focusing on changing the internal structure of SGA,” Priddy said. Naveed, who previously served as Oxford SGA president, said that he wants student leaders to have “safe space training” to better understand the concerns of the LGBTQ community. Naveed also called for MARTA pass subsidies for nursing students and reaching out to cultural and minority organizations. Both executive vice presidential candidates emphasized creating a smoother transition and integration for Oxford College continuees. 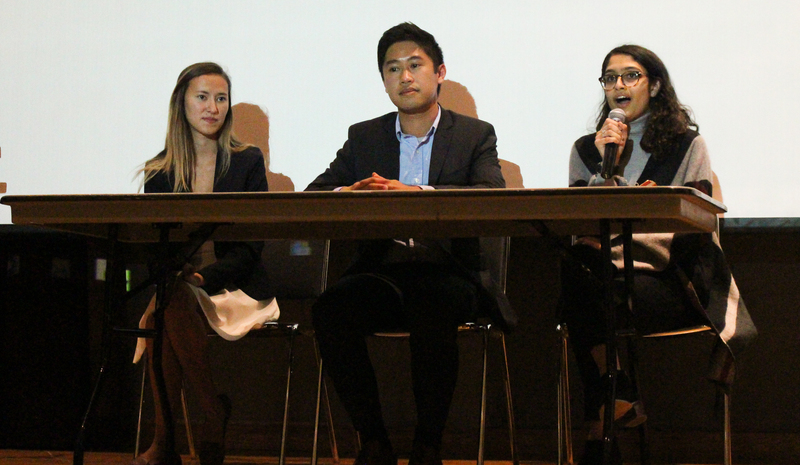 Junior Legislator Tiffany Haas (19C), former Oxford SGA Attorney General Paolo Mutia (17Ox, 19C) and CC Vice President of Administration Radhika Kadakia (20C) are battling for the CC president position. Haas’s platform ranges from “simplifying chartering and monetary policies” to “improving student input into CC policies and initiatives.” She pointed to her experience this past year working on the tampon initiative and Emory’s Day of Giving. Mutia said that he wants to make Emory safer through sexual violence prevention and conduct diversity training sessions that focus on privilege, bias and racism. Kadakia said that she would implement town halls to increase CC’s outreach on campus, work on sustainability initiatives and work with Emory Dining to provide more dining options to students. When asked if her late candidacy declaration and delayed platform submission to the Wheel reflected an inability to lead, Kadakia stated that the the late candidacy declaration was an “honest misunderstanding” as she thought that attending an information session and typing her name in the iPad at the meeting declared her candidacy. CC Assistant Vice President of Finance Hemal Prasad (20C), who is running unopposed for CC vice president, discussed his intimate knowledge of CC finances. 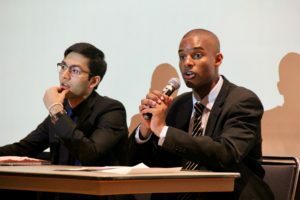 As a member of both SGA and other organizations such as Mock Trial, Prasad acknowledged that there can be a disconnect between clubs and CC, a problem he hopes to address. Jake Gruber (19B), Jay Krishnaswamy (16Ox, 19B), Ashley Daniels (19B) and Hannah Mayblum (19B) are running for BBA council president, but Gruber and Krishnaswamy were the only candidates who attended the debates. Daniels was away at a swim meet and Mayblum did not respond as to why she did not attend the debates. Gruber pointed to his leadership on executive boards of the Student Alumni Board and Interfraternity Council. Gruber ran his platform on ideas such as “building a definitive cohesive community” and “defining Goizueta’s culture,” which he called exclusive. Gruber also stressed the importance of setting funds aside for a convenience store at the Business School to enhance the student experience. SGA President Gurbani Singh (18B) said that she was proud of the SGA candidates for having strong platforms and a friendly debate. Mariah Doze (19C), who submitted several tweets to the candidates, said that she attended the debates to learn more about the candidates’ platforms and to make sure issues that were important to her were addressed.